Estēe Lauder’s products have long been included in my family’s makeup practice. 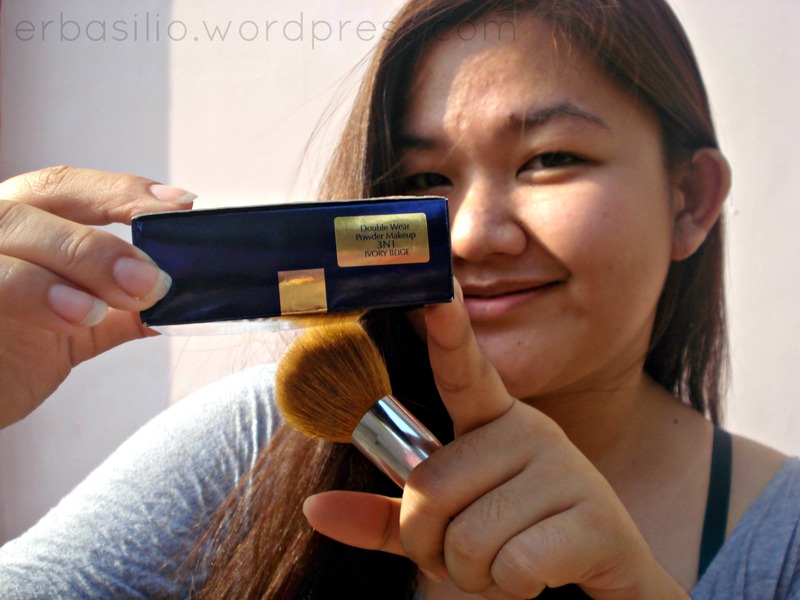 Growing up in a family with love for beauty and beyond, Estee Lauder’s brilliance in living to its promise over the years (during my mom’s and aunts’ time) has inspired me to this post –making a testimony from the past to the present. Double Wear Powder Makeup 3N1 in Ivory Beige has a medium to full coverage but is a very light product to apply on the face indeed. Even with its coverage, it still did not look as cakey as I expected it to be. 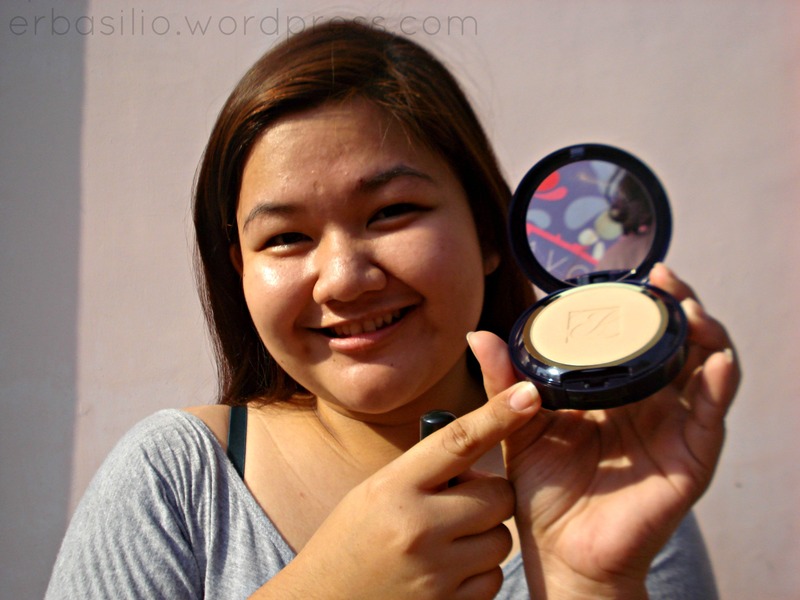 Although my face is naturally (and usually, lol) oily, this product gave me a semi-matte finish that proves its powdery smooth perfection even with my skin type. Although I haven’t tried using it for eight hours straight (which was, by the way, its suggested time-wear) I’m sure it would be just a tad of retouch to get me back to that powdery smooth perfection. Sorry I forgot to put down my brush, I had to use it because I don’t want to spoil my dual-sided applicator yet, haha! 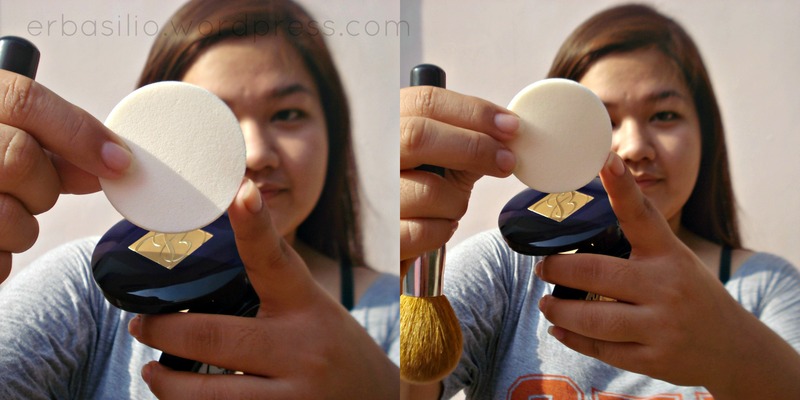 Speaking of which, this product has a dual-sided applicator that can set you up from the essential foundation with “powdery-smooth perfection” by using the sponge side (left side of the picture above) to the “finishing powder” finish you can use over some liquid makeup by using the velvety side (right side of the picture above). Here are some nag-iinarte pictures of mine using Estēe: Unfortunately, I forgot to take some before-after pictures. So let me just make it up to you the next time I use this one soon… Thank you again for tuning in, if you have comments or suggestions, please feel free to let me know! Till next post, ciao!